Word has it that a new student competition is to be organized. You've probably heard about STEM Games. You know that it is going to be the greatest STEM competition where 1,000 best European students will compete in challenging problem-solving exercises but you still don't know who's behind it? Keep reading! The main organization STEM Games team consists of 100 students studying at different Croatian faculties. 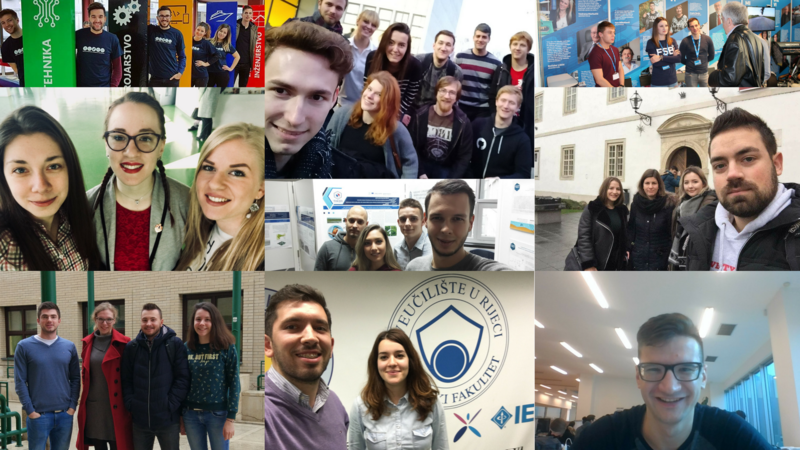 11 faculties, namely FER, FERIT, FESB, FOI, FSB Zagreb, PMF Split, PMF Zagreb, RITEH, SFSB, University of Rijeka, Department of Mathematics, Department of Physics, Department of Informatics and Biotechnology and TVZ participate in the STEM Games organization. The supervisory board is composed of faculty representatives. Numerous other faculty employees and students participate in different teams trying to ensure the quality of STEM Games. Teams are composed of students studying at different faculties in order to foster interdisciplinarity, which is one of the key features of the competition. STEM Games is a courageous joint student initiative aiming to organize a competition in problem-solving exercises; a competition where the innovative way of thinking is more important than solving prototypical exercises. This is the first such event in the Republic of Croatia. It is the event which offers edutainment activities and sporting events simultaneously fostering the team spirit. It is the event where participants will want to come back and relive it. - Says Saša Tepić, the Head of the Organizing Committee. Want to be a part of STEM Games? Follow us on Facebook, Instagram, LinkedIn. Subscribe for the newsletter and find out up-to-date information.